In October of 2003, BayStar Capital invested US$20 million in The SCO Group Inc. Now BayStar wants its money back. Last year, BayStar led a US$50 million investment in SCO, which is currently embroiled in lawsuits against IBM Corp., Novell Inc., Red Hat Inc., Autozone Inc. and DaimlerChrysler all relating to SCO’s claims that some Unix code, which SCO claims to own, has been illegally copied into the open source operating system, Linux. BayStar currently holds 20,000 shares of Series A-1 Convertible Preferred Stock in Unix company SCO. Recently BayStar announced that it had sent SCO a letter asking the Lindon, Utah-based company to redeem the shares. BayStar claims SCO violated four sections of the Feb. 5, 2004 exchange agreement it has with SCO and the Royal Bank of Canada (RBC). “The thing that still remains a mystery to us is how exactly BayStar believes we violated those sections of the exchange agreement,” said Blake Stowell, a SCO spokesperson. BayStar’s spokesperson Bob McGrath in New York said the venture capital company is not offering any comments on the situation. But generally, the provisions of the agreement BayStar claims were violated all have to do with disclosure, according to SCO. However, it is too soon to determine whether BayStar’s actions will affect the IT industry, said Warren Shiau, research manager, Canadian Software Markets and Directions at IDC Canada Ltd. in Toronto. “It could be entirely related to financial or investment matters and have nothing to do with technology,” he said. “On the other hand [the allegations] are wide enough that it could.” There is simply not enough information available yet, he explained. SCO does not know if BayStar’s actions have any connection with these suits, Stowell said. 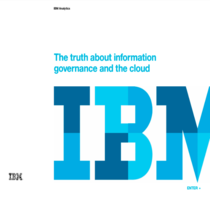 “I would be surprised if that was the case because with IBM and Novell in particular, those suits were disclosed prior to Feb. 5 when the exchange agreement took place. In terms of the Red Hat suit, that is actually something that Red Hat issued against SCO, not SCO against Red Hat,” he said. As for the case of the suits against Autozone and DaimlerChrysler, SCO simply does not know, he added. Whether BayStar will get its investment back also remains unknown. Stowell said SCO’s legal obligations are still in question because BayStar needs to be more specific in its claims. “Right now we’re seeking more information from BayStar. We’ve asked them to provide us some manner of detail as to how exactly they believe we may have breached the terms of the agreement and that’s what we’re waiting on right now,” Stowell said. The other investor involved in the Feb. 5 exchange agreement, RBC, has not yet said whether it will also look to reclaim its investment money if necessary. Chris Pepper, spokesperson for RBC in Toronto, said RBC is aware of what BayStar is doing and is currently examining its options.